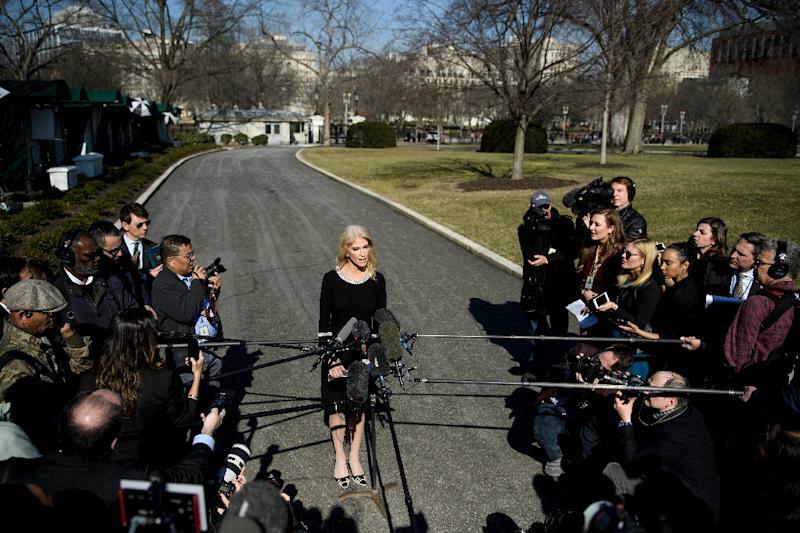 Washington (AFP) - There are marital spats and then there's the row -- unfolding before millions of people -- between a top Trump advisor and her husband over the president's mental health. But she's never faced a challenge quite like having to rebut her own husband, prominent lawyer George Conway, who has taken to Twitter and The Washington Post to claim that her boss is unwell. His latest tweet posted the symptoms -- which he says Trump matches -- for "Anti-social and Narcissistic Personality Disorder." "*All* Americans should be thinking seriously *now* about Trump's mental condition and psychological state, including and especially the media, Congress—and the Vice President and Cabinet," he wrote earlier. "I have four kids and I was getting them out of the house this morning before I got here so I can talk to the president about substance, so I may not be up to speed on all of them," she said.